Hello everyone, I have a problem with a project. It is a weekly time I found on the web. It is originally written for ATMEGA16 but I used the "A" version of this chip. The problem is that the two output ports (C4 and C5) that are supposed to be HIGH at the preset times, stay LOW! Could it be because of wrong Fuse Bits? Or the chip is broken? Or maybe the code needs to modified for ATMEGA16A that i'm currently using? Anyway, is it "wrong fuse bits"? How do the fuse bits compare with those on your Mega16 version? All that said, what are the alternate functions of those port C bits? JTAG, right? What is the default value? Did you disable it with fuse setting or code sequence? I'm sorry for my big post. I thought maybe users need to see the whole code. I disabled the Jtag Fuse but it didn't help. In the shown code the chosen pins are not configured as outputs. I changed the ports to see if they behave equally. Originally it was like this: #define output1 PORTC.4 #define output2 PORTC.5 Non of them works! I find that hard to believe, if indeed the "pins won't go high" and it is PC4 and PC5 and they are made outputs. Create a small test program that demonstrates your symptoms. Show schematic and connections. Tell how you are testing. Tell what you expect to happen, and what >>is<< happening. Tell toolchain, version, and optimization settings. Tell AVR clock speed, and supply voltage level. If still confusing after you work through that, post the generated code from the compiler. "In posted code", C2 and C3 do not work. It is because DDRC is not changed at 0x30. Please check the operation of C4 and C5 with minimum code. Nobody knows whether the fuse setting is normal or not. Even words of your "disabled" also. Whenever there's an "issue" with PC4..7 on a JTAG chip like mega16 isn't it always the JTAGEN ?? I'd be astonished if that didn't fix it. ...which is why changing to PC2 and PC3 doesn't help much if our premise is correct. While your posted disable sequence would generally work in the WYSIWYG world of CodeVision, for real work one should bracket the sequence with appropriate incantations. I've often wondered why AVR Libc didn't have something to handle disabling JTAG. I've often wondered why anyone would want to disable their debug access to the chip. Do they like making life difficult for themselves? Do they also turn out the lights, and try to solder purely by sense of touch? In thinking about that and your wonderment, one factor is certainly that a group of four pins "is a terrible thing to waste". Edited to be more Grammatically correct. The kicks of Martín Gramática were usually correct -- does that count? four pins "is a terrible thing to waste (sic)". Sic? ??? I've been accused of that, I guess. So I'll edit to make it more grammatically correct. But I still have a purpose for each thing I asked the OP for. The seeming stream of requests are part of the analysis process that I [at least] would use when a puzzling turn of events happens. And the first is a small sanity-check program and attendant items. The seeming stream of requests are part of the analysis process that I [at least] would use when a puzzling turn of events happens. The biggest lack in so many posts seen here seems to be a total lack of any idea of how to analyse a problem, and work towards a solution. If everyone had these skills, then I’d be out of a job! It could be a generational thing - before the interwebs there was no easy means to ask questions unless you moved in a social circle where there were skilled people. University (hopefully) equips you with the theory and tools to solve a problem. This seems to be less likely these days. Thank you guys for your help. Let me sum up everything about my project and make things clear. In migration notes of this new "A version" chip is written that it is a drop-in replacement for the older chip. I tried burning the code using a universal programmer (TOP2009) and my handmade AVRISP MK2 several times. Clock, buttons and LCD work flawlessly. The only flaw is that, none of the output pins go High when they are supposed to. So I started thinking there should be a problem with the FUSE Bits. I started playing around with them using online FUSE Bit calculators and I saw that code started behaving differently but still not the way it should. Well, it was not a good idea to change the Fuse Bits because I damaged a chip doing this. This is all I know so far about it. I have already spent so much time on this. Designed a nice PCB and rain detection relay! So I really don't want to leave this problem unsolved. I really appreciate your attention and kind responses. AVCC MUST BE CONNECTED TO VCC! I believe it is a typing mistake. I put a 100nf instead. I double checked the Fuse Bits in AVR Studio 6.2. JTAGEN was disabled. Do I need to disabled it in the code too? AVCC is now connected to VCC but problem still remains. It's so weird and frustrating because every thing looks just fine. I'll try to find an ATMEGA16 and see if it behaves like the "A" version. I double checked the Fuse Bits in AVR Studio 6.2. JTAGEN was disabled. Is not that I don't trust you but can you please show us a screen shot of the fuses pages from AS6? and not PORTC4 and 5, you seem to have changed that. As you have LEDs on both pins you could just write some simple code to alternatively turn the LEDs on and off. If you have a JTAG then it is even simpler, put a breakpoint in your code after the init, check that the ports are actually set for output and then manually turn the pins on and off. Of course I hope you have checked for shorts to ground on those pins. I would connect Pin-31 to GND and test again. It's almost universal these days, whichever Micro vendor you choose. Power pins come in (usually adjacent) pairs. All pairs MUST be connected and decoupled (with 100nF ceramic) for proper operation. So in your circuit; Pin-10/11 and Pin-30/31 require these connections. I'm also struggling to find your programming port. I connected the AVCC to VCC, added another 100n capacitor and connected Pin31(gnd) to the ground. But I noticed that when the Chip is ON, PC4 and PC5 are pulled down all the time regardless of timer ON/OFF condition. The resistance between these two pins and GND is 30 ohms. I removed the chip and checked if PCB was short but it was OK. It's JTAG. Suggest you turn it off. I have disabled the JTAGEN. I'll disable it in the code too. or using PC2 and PC3 of portC? OK, I couldn't read your code from the posting (all green really hinders readability, but that's not your fault) so I copied & pasted your code into Visual Studio Code to get some colouring and I still couldn't make anything of it. Anyway what I could glean is that you set PORTC.4 & PORTC.5 as output low in main() and those pins are not touched ever again. You reported that your AVR is driving those pins low. I would say that your mega16A is working correctly and doing exactly what you've programmed. Thank you so much for your attention and patience. That is a small part of the code I have posted to show the ports initialization. The whole thing is too long to post here. Many thanks to you for checking and answering my post. You are not going to believe this. I swear the Satan himself. I added this to disable the JTAGEN and it didn't work. this problem is getting frustrating. You have likely blown the chip! Look at the VCC being read by the programmer. I added this to disable the JTAGEN and it didn't work. Tell toolchain, version, and optimization settings. Tell AVR clock speed, and supply voltage level. If still confusing after you work through that, post the generated code from the compiler. I've lost track a bit. What do we know so far about my questions? -- depending on the toolchain and optimization settings and the phase of the moon, the simple sequence may not follow the 4-cycle limitation. Thus, the request for the generated code. Too big? Then at least post that piece. -- too big?!? Then CREATE a sanity-check simple program. Does that work? Then obviously some other part of the "big" code is messing it up. Heck, it could even be a rogue pointer to I/O space. Doesn't work? 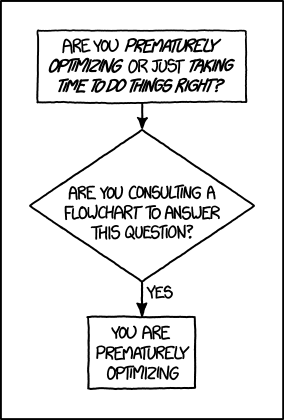 Then when you post the test program and tell toolchain and settings and such, and/or post generated code, and show schematic, and tell us what "doesn't work" means and how you are testing -- things will probably become apparent. If only a voltmeter and not LED, then make the delay a few seconds to get the reading to register. That's what I thought too.So I bought another 2 chips but they are all the same. The programming voltage is 5.5 volts (shown in Atmel studio). I actually use my universal programmer which is quicker and has more user friendly GUI. At this point I'm thinking maybe I have bought fake Chinese chips. I have located the original ATMEGA16 chips in my city and will give it a try a couple of days later. Why is VCC so high? It usually is 5V, if it reads 5.7V at this point is it likely to higher or even lower ? How are you powering this board? With both AVCC and pin 31 originally unconnected you were likely damaging any new chip plugged in. Well the code on dropbox was almost identical to that posted in #1. However I can now see you ARE writing to PORTC.4 & PORTC.5. Should that be MCUCSR instead ? It's irrelevant really because it'll make no difference - I think your JTAG is disabled. 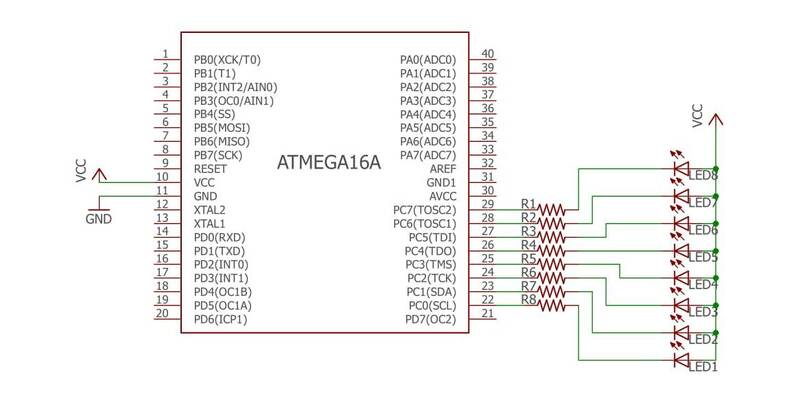 If JTAG were enabled TDO would be an I/P; and on these older designs of megaAVR it would be a floating I/P. Not an O/P low. Following your suggestions I checked my chips with the following code and they were all OK. Unfortunately I am not enough skilled to analyze the code and track the problem. I've lost track a bit. and that's clearly avr-gcc. So I don't know which C compiler it is that he's using. It is originally like below in Codevision AVR. so it is not an issue. I was just trying to use other pins. My test code is written in Atmel studio of course. it is easier for me. So then we don't know optimization level, so the JTAG sequence might not work. Which is >>why<< I asked a number of related questions, but only a few are answered/addressed. This is like pulling teeth. We have now heard that the "sanity check" program works. What did I say about that? It is very frustrating to try to help an OP that has a puzzling situation which is continued to be worked on, but suggestions are not taken. Finally the problem is solved! I simply used PORTB pins and now my timer works perfectly. But the mystery of PORTC remains unsolved. I blame the fake, low quality Chinese components (AVR chips in my case). China is trashing the world with it's "Communist grade" products. We know it but it is almost impossible to recognize the authentic electronic components. Anyway, thank you guys very much for your suggestions. I learned a lot on this issue. But apparently not how to solve the actual problem. ... and without any proof. What's more, you've made it political, which is verboten here. If only you would avail yourself of the advice given in this thread. Hint: #37.
kooroshi60 how come you are throwing in Italian words?